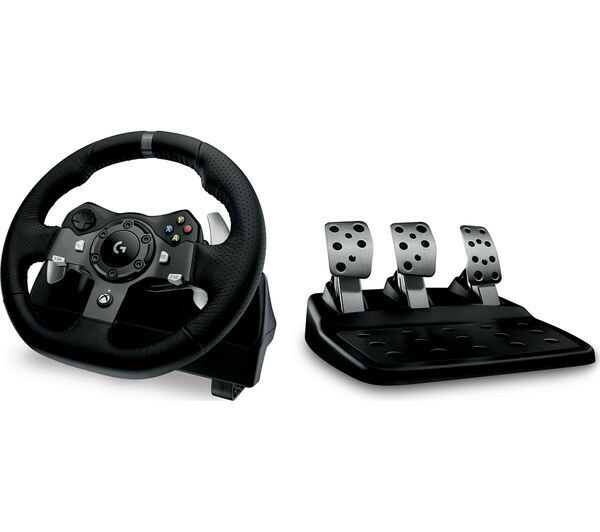 The Logitech Driving Force G920 Racing Wheel gives you the definitive racing experience for Xbox One and PC. 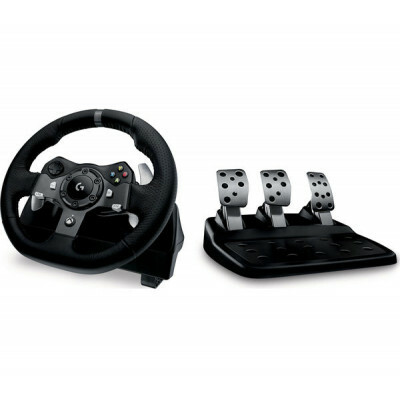 Experience a new level of racing that far exceeds your regular controller. 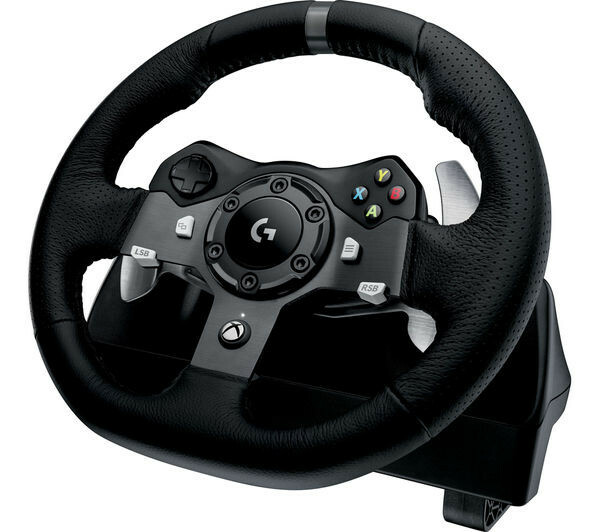 The G920 for Xbox One is designed to take on the latest console racing games as well Logitech supported gaming on your PC. With a powerful dual-motor force-feedback mechanism and helical gearing, the G920 provides smooth, accurate simulation of traction loss, weight shift and drifting to help you feel every turn in the road. 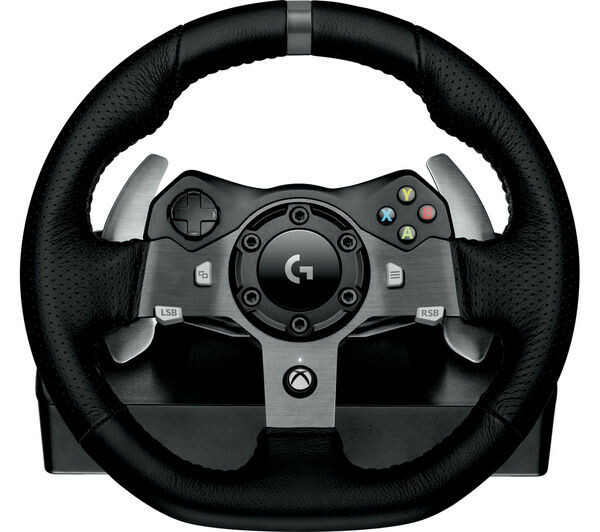 Respond with precision - the Driving Force Steering Wheel is engineered with solid steel ball bearings in the wheel shaft, stainless steel paddle shifter and pedals that gives you accurate control as you tear up the track. Expertly modelled after automotive transmissions gears, the G920`s helical gearing delivers smooth, quiet steering action. 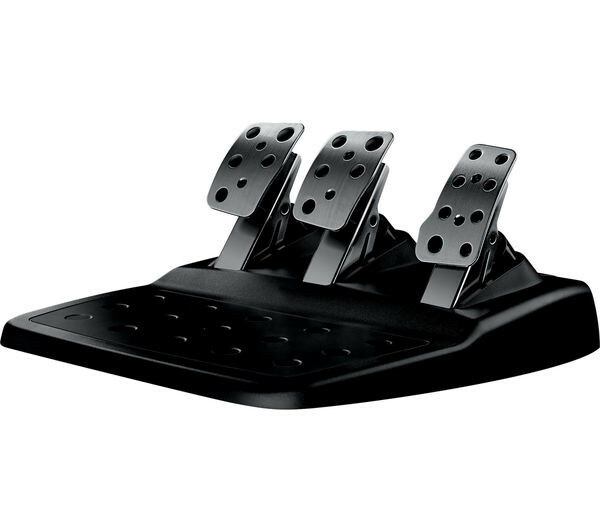 Anti-backlash keeps the wheel and pedals tight to maximise control and reduce unwanted noise and vibration for ultra responsive game play. Race like never before with the G920`s 900-degree lock-to-lock rotation, which lets you turn the wheel two and a half times. 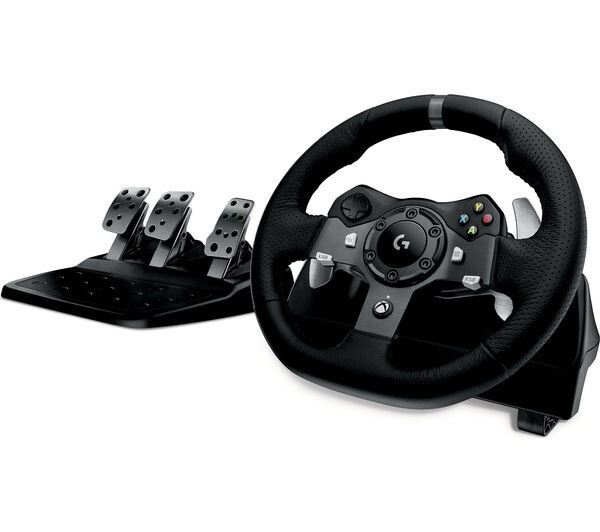 Control is at your fingertips with the D-Pad, buttons and paddle shifters incorporated into the racing wheel. You can also keep your eyes on the road, thanks to the perfectly positioned steering wheel stripe, which gives you a visual indicator of the wheel`s direction in your peripheral. 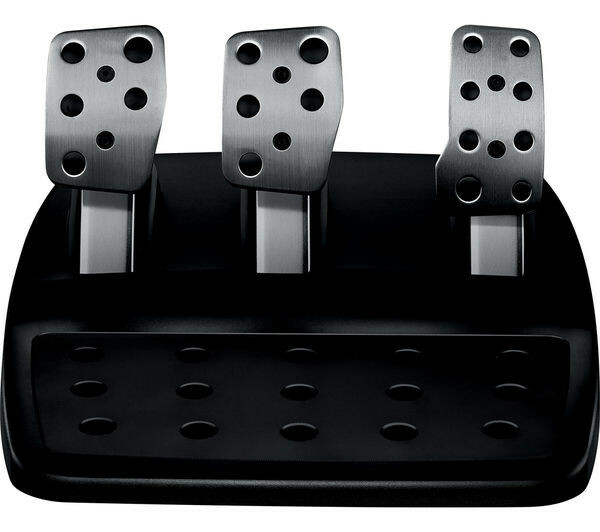 Featuring an integrated throttle, brake and clutch pedals, the G920`s floor pedal unit delivers the ultimate driving experience, so you can accelerate, brake and change gears with the feedback of an actual car.